Beef fever, the 2014 attitude. Ever hosted one of those over-the-top parties? They seem to be enjoyable and many people attend. However, sometimes you look around and ask: Who invited that person because I don't know who he or she is? As the sun comes up the next day and the dust settles, it seems to be a good time to reflect on the good times had at the party. However, about a week later, the bills start showing up. One can hear the questions: Did we really order that? I thought the ice was free. Only the first 50 cups were? Where did they ship the ice in from? Is that really my signature on that bill? Just how many people did we authorize to accept deliveries? Not to be too pointed, but maybe there are some party similarities to what took place in the beef industry this past year. For those who have had the great experience of introducing their children to the world, there is the after-party phase. Yes, the joy of watching a child get his or her first paycheck is precious, but you also realize that the paycheck does not even begin to reflect the cost of raising a child. That thought starts to become evident with the first overdraft notice or a desperate call home that starts with: "Dad, I am out of money!" Family disposable income generally has included funds for child rearing. However, there is a point when every family starts to think more about retirement by slowly but steadily shifting money from rearing to retirement funds. If this step is poorly done, then the child gets the call: "Son, I am out of money." Such calls are seldom returned with haste. Meanwhile, the beef industry, at least in the cow-calf business, is nestled in the conservative upbringing of farm and ranch families. The call for more money for family living usually meant selling an extra cow, not driving to the bank to take out a loan. My memory is good, not always accurate, but still good. Boom times are party times and not-so-boom times have caused those who are less conservative to stumble. The stumble actually may not be a fall, but sometimes it is. Sometimes it is simply a weakening of the farm or ranch infrastructure, but nevertheless the challenge remains. 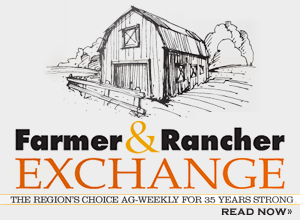 It goes without saying that the beef cattle world ended 2014 on a good note. The cow-calf segment reflects the good prices received and desire to move forward. The move forward keeps those who project numbers busy. Those numbers set the feel for the future. 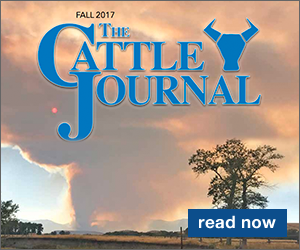 As cow-calf producers, confidence is felt because cattle numbers seem low and interest in beef remains strong. Those who like to eat beef seem to be getting their share, so we have the party. However, we do have the "but" word. Eternal optimism is not any better than perpetual pessimism. Real life exists somewhere in between. The question is, where in between? Every day that someone lifts his or her hand to bid on the price of cattle, he or she votes. That person has helped set the current value that, we hope, is calculated by taking into account expenses and estimated future value. Of course, such activity does not really happen in the absence of markets or those financial structures that facilitate marketing, so dollars are associated with that vote and ultimately change hands as the business day ends. When all the homework has been done, accounts should balance and the next day should be started in a positive fashion. The word "homework" is the source of stubbed toes. Organizations that make dollars available pay considerable attention to the prices paid, projected expenses and projected future sale prices. Agricultural product value, particularly food, is market-driven. Markets are driven by supply and demand. The demand is people, and people like to party, so the cycle continues. The real foundation is in the homework. Who actually ordered all those supplies? Who was in charge of the guest list? Who was instructed on how to receive the supplies? Planning and more planning is important. If the numbers are not positive, dollars are withdrawn. Unfortunately, one of the most difficult lessons in life is the lesson of living within one's means. The basic rule is that the amount of the sale check has no connection and no requirement to the future. The sales receipt only reflects the market on the day that the check was written. In the cattle business, the check was written on the day the cattle were sold. Yes, call home and the folks will do what they can, but call the bank and one may find the account has been closed. Those who do their homework will lessen the pains of life, but even then there are no guarantees in this business. The bottom line: If you are spending your own money and you have the money to spare, throw the party. However, if you are using someone else's money, stay home and do the next homework lesson.